Um...hello gorgeous! This look is head to toe perfection. I am seriously going crazy over this color combination. Don't miss my New Suede and Buckled ankle boots. They are amazing! Love the outfit and thanks for the mustard shout out! Mustard is a great colour! love your outfit and the selection! That is such a cute mustard blazer. I love that you paired the expensive pieces with affordable pieces like the target heels. Great mix missy. great outfit! I love these colours! OMG! Gorgeous! Love the colors! Love the color combo!! It seems spring has already arrived!! Absolutely stunning as usual, Anna. You always look perfect. Love the reader pics too. Everyone's so pretty! 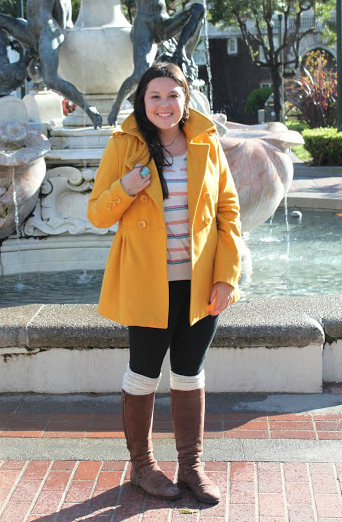 I'm a huge fan of mustard and have been wearing it so often these days! Adore your pink peplum & polka dot blouse! I love the colours, you look just great! Your blog is so inspiring, whould you like to follow each other? I love your pink peplum skirt. Great colors! Wow love everyone's mustard outfits!! Youre such a fashionista, love all the bright colours, very summer-ish! I LOVE this color combo - that skirt is fabulous on you! Love the touch of spring with that skirt! I can't wait for the warm weather again! I love the colours of this outfit. Mustard and pink are perfect colours for warm weather if you don't want to look too bright. Great look Anna! Love the skirt and blouse. You look great Anna, and so does all the girls! 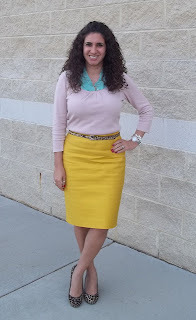 I love the peplum skirt! 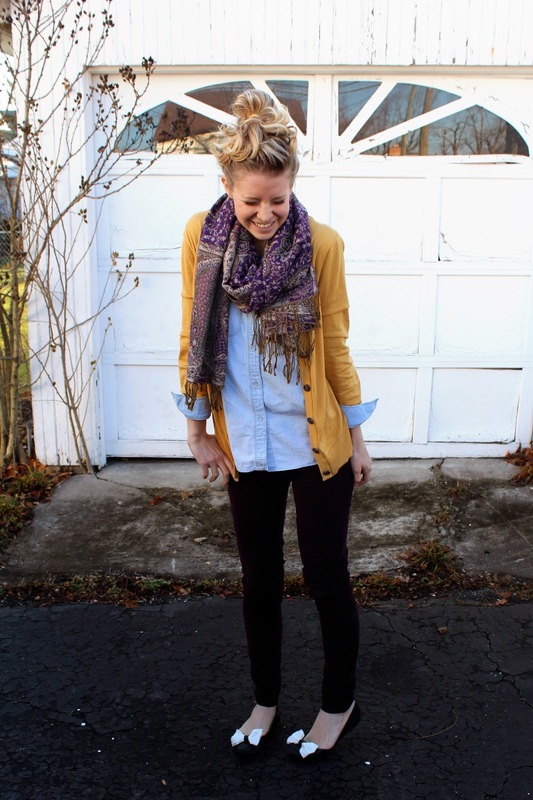 Thanks for sharing these lovely bloggers looks! You are all about mustard, I love it, and all the photos and advices are great! You are all about colours and I love it. Great look! I love any variation of marigold/mustard. We wore marigold in my sister's wedding in September. It solidified my love of the color. Absolutely gorgeous!! Such a great post!! Love it! OMG! Lately I have been VERY into pink and orange together. You NAILED these shades. Ah...must try myself. Looks SO chic on you. This is super cute and classy. I love it. Favorite outfit of yours! Absolutely love this look, that skirt is amazing! Wow! That combination is pure perfection... polka dots are my favorite and soo versatile! And I would DIE for that skirt. Love it! I really love your outfit. That skirt is amazing and I love how you styled it! One of my favorites so far! Soooo excited to be featured! Yay! I love all of the looks and mustard really is a fun, great color to wear! This look is absolutely gorgeous, I actually just pinned it under my board "My Style" and I wish I had every piece in my closet! I love that yellow blazer! The colour palette is so sweet and goes wonderfully together. Oh my gosh, I am in LOVE with that alice + olivia skirt!! It is perfect! I love it paired with the mustard sweater. I absolutely love this color and I'm sad I totally missed the submission! I have a pair of mustard skinny jeans which I love!!! Your pink skirt and polka dot top are seriously adorable!!! LOVE!!! Super cute! I really wished I lived where you do right now! Our weather is terrible! I love the colors you're rocking, they feel so happy!! soooooo in love with your Alice + Olivia hot pink skirt!! Looking fabulous as usual Anna. One of my favourite recent posts. very cute outfit! hope all is well! Obsessed with this outfit, Anna. So girly and hot. Love. 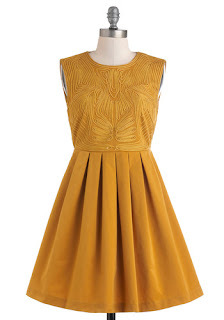 Love the color mustard! Great pink peplum skirt, too! your outfit is absolutely perfect...the skirt and blouse are to die for! Love the outfit! Your top is so sweet. Yay, I made it!!! 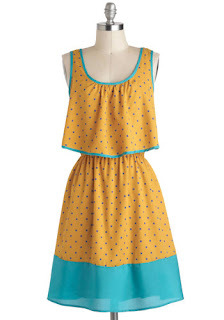 Love your mustard with pink and polka dots!!! LOVE mustard & pink together! you look FAB girl! Ohh these are some great inspirations! You couldnt be more beautiful. LOVE the hot pink peplum skirt!! This is one of my favorite outfits of yours! So cute. That peplum skirt is gorgeous! Love this whole look! Gorgeous! Love the pink and yellow paired together. Everything about this outfit is PERFECT! 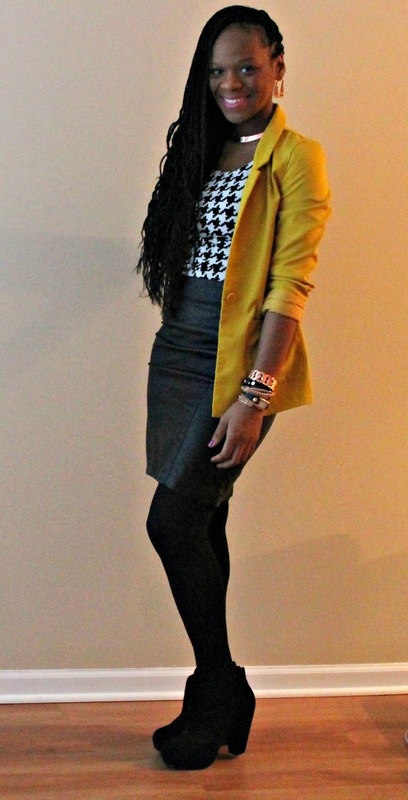 I love the pop of colors with the black & white and the blazer with the peplum skirt. Isn't the warm weather so wonderful?! 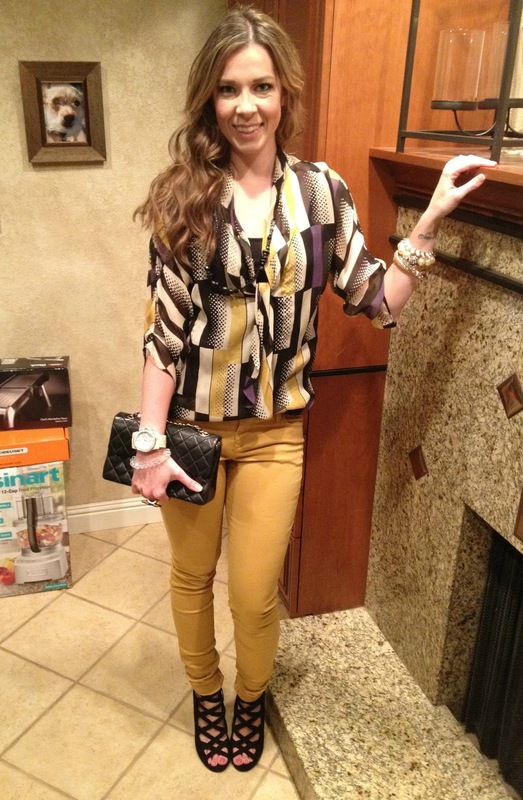 You look gorgeous in marigold! I must say, I am aching for spring as well!! I want to wear my shorts and bright tops! love the colors I will have to try this! Beautiful and I am starting to develop a love for Mustard I didn't know I have. LOL. You look stunning like always and I love this color combination. Another great inspiring outfit! Love the playfulness in this look with the polka dots! Thanks for the love!! love the combo!!!! your outfit looks so fun!! Great look! I love your skirt. I adore the polka dots and pink! What a fun outfit! You are the queen of color. Great look. This is SO spring and I love it! I thought Spring had arrived too and wore my spring colors...but now it's raining. You look amazing! Love it all and the polka dots are becoming an obsession for me. I am now completely in awe of all things mustard !!! I have to own that skirt. It is such a great fit and the color, pink, is my favorite. Always a huge fan of your style. Awesome post! Love the mustard. Mustard is one of my favorite colors and you did a great job mixing it with pink! Awesome! love the skirt! ure style is flawless! I love this look on you!! The mustard and pink look fab! I love this look. The colors are perfect together! You look great as always! 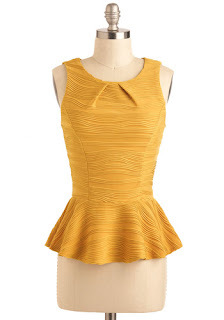 The peplum is amazing! I love the structured mustard yellow blazer, it is beyond incredible! I can't believe that you picked up your pumps at Target, I'll have to check it out! I love this look! Best USA blogger by far! So cute all of these varied mustard looks by your fans and followers! What a fab idea! Everyone looks spectacular!! 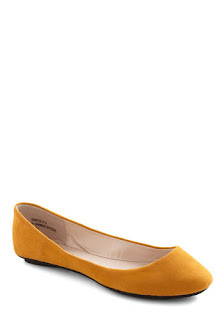 love this mustard/yellow color. so beautiful!! You are too cute! I'm in love with every piece of your outfit; it has a spring retro vibe which I adore. Love all these bright colours! Keep it up and thanks for stopping by! Thank you SO MUCH for the feature, Anna! I have been LOVING MUSTARD lately and was happy I could contribute something for your post! I'm a huge admirer of your style, especially being a fellow blonde! :) Thanks again for the feature! love your outfit...it is a snowy mess here in utah so i couldn't pull anything like that off - but it looks gorgeous on you! and love all the mustard looks on your readers! I love your outfit! Where do you take all your pictures at? I really liek this color ! 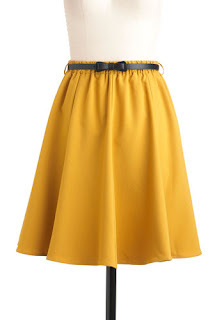 I have a high waist short in this color and it's really great to dress differently ! Great idea for work outfit ! This outfit looks great on you.The color combination is chic. Lovely skirt, I think I will never be tired of the peplum trend! yayaya! Love this, thanks so much for featuring me! Mustard is a weakness of mine. :) I love anything in the color, even though it's not the most flattering for me... I'd love those flats though! Gorgeous Look Ana, and adoring that skirt. one of my favorite colors! so lovely, all of you! 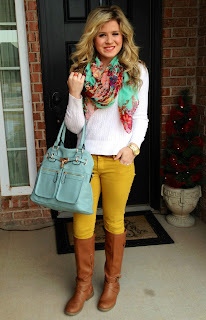 This look is adorable, I love the colors! I just love too much those tones together, so gorgeous!